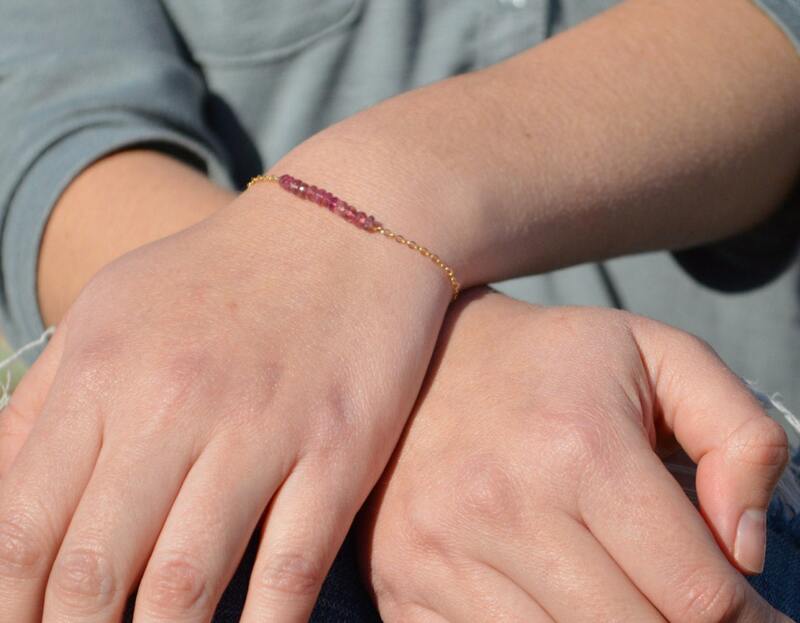 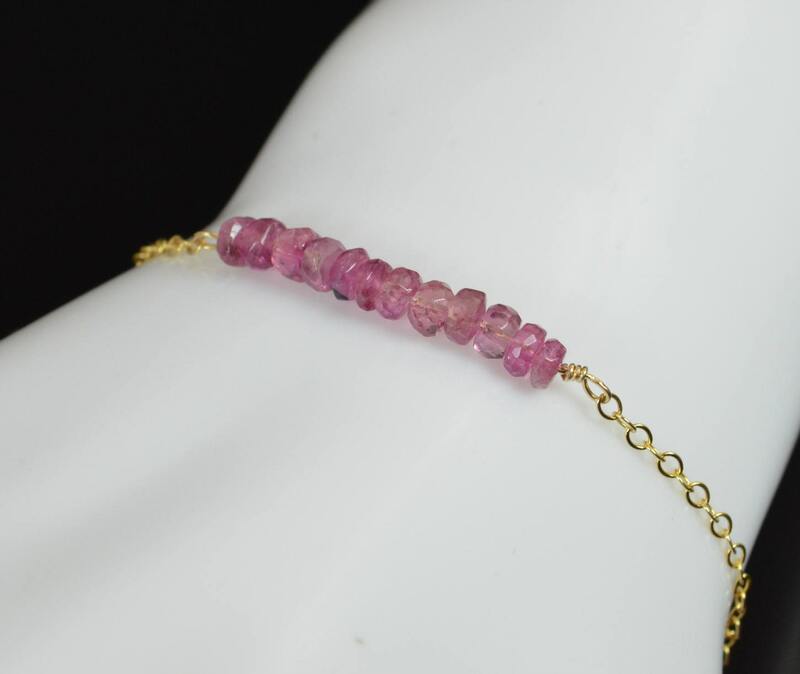 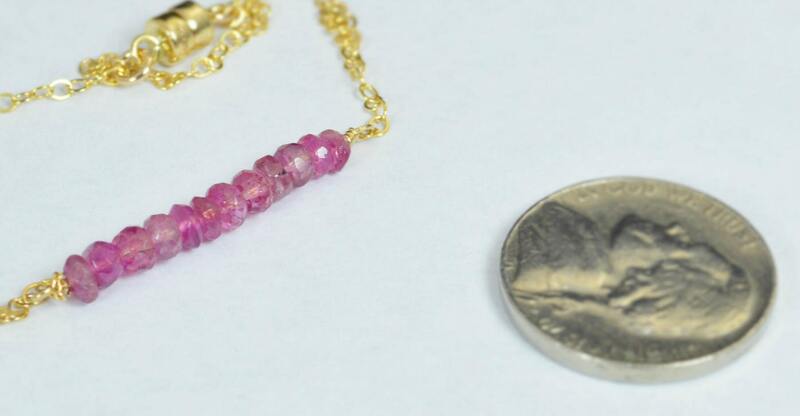 Natural Pink Tourmaline Rondelles on Delicate Chain Bracelet. 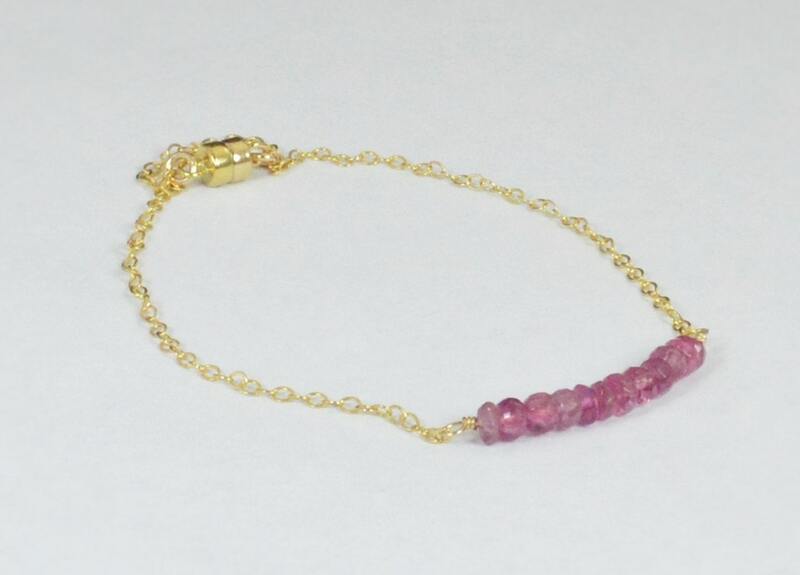 Lovely and delicate; just like pictured. It was a little big, but Michael sent me a return label and made it perfect!